Dr. Marilyn D. Yoder has been named the dean of the College of Business, Math & Science at Bemidji State University. 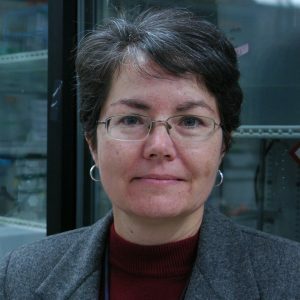 Yoder joins the BSU administration from the University of Missouri (MU) in Kansas City, Missouri where she is currently an associate professor and head of the Division of Cellular Biology. She has been at the MU since 1994 when she joined the university’s faculty as an assistant professor in the Division of Cell Biology & Biophysics. Before her time in Missouri, Yoder worked as a postdoctoral fellow and staff research associate at the University of California-Riverside. Yoder has a bachelor’s degree in nutrition from the University of Kentucky and a doctorate in biochemistry from the University of California-Riverside. Yoder’s role at BSU begins on July 1. The College of Business, Math & Science houses eight departments and programs including biology, business administration, accountancy, integrated media, chemistry, computer science, mathematics and physics.